Brown Construction, along with Rep. Ken Calvert and representatives of the Coachella Valley Housing Coalition, U.S.VETS and the March Joint Powers Authority will celebrate the groundbreaking of 138 units of housing for Veterans Monday, November 9th at 10 am on March Air Reserve Base in Riverside County. 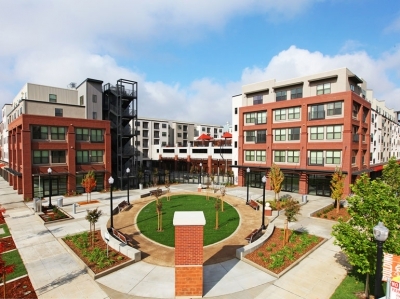 Known as March Veterans Village, the first 138 units, which Brown Construction is contracted to build, will provide decent, safe, permanent affordable housing for previously homeless veterans, and veterans and their families. 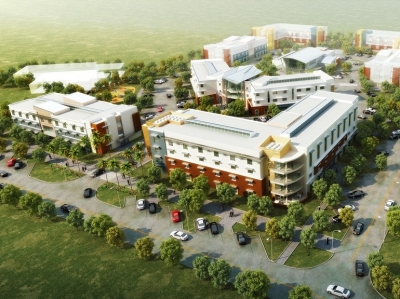 When fully built out, the Village will also house 60 veterans in transitional housing. Brown Construction executives, including President and CEO Ron Brown, proudly joined Cannery Place developer/owner team, Township 9 Affordable Housing Partners LP, and project architect Bob Kuchman on the morning of September 30 at McClellan Park as their massive joint effort—Cannery Place—was awarded affordable housing project of the year by the Sacramento Business Journal.